Dr. Thompson’s father was a farmer, and due to the demands of his job, he had to take excellent care of his body. And he did! What was his secret? Receiving chiropractic care regularly. It helped him stay in the best shape possible, so he could continue to work hard and support his family! “I remember these memories of my Father well,” yet her up-close experience with chiropractic care took place later on in life. “My college roommate had been through a painful accident and needed relief. So, I accompanied her to a chiropractic clinic and saw what I believed to be… a miracle. I was amazed because after her adjustment, she already felt better and soon she was healthy and feeling incredible again! Witnessing people find relief and heal from within was so incredible that medicine did not interest Dr. Thompson anymore. The courses gave Dr. Thompson the confidence, knowledge and professionalism to open Sugar Creek Chiropractic. 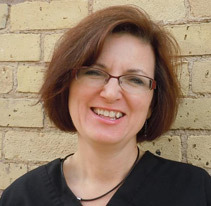 She’s now been a chiropractor in Chaska since 1987, helping people through chiropractic care and loving every moment of it.